Minor Miracles. 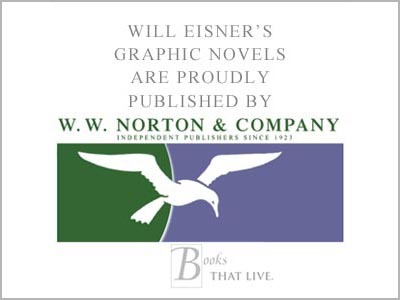 Buy at Amazon. MINOR MIRACLES (2000) is a collection of four remembrances of apocryphal stories or "meinsas" that filled the air of the tenements and streets of Dropsie Avenue (the same neighborhood found in A Contract with God and Dropsie Avenue). 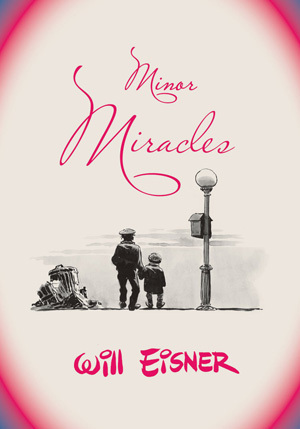 The full title of this Eisner work is Minor Miracles: Long Ago and Once upon a Time Back When Uncles Were Heroic, Cousins Were Clever, and Miracles Happened on Every Block.